ALLERDALE RESULT: Solway - Jim Lister, CONS, 455. 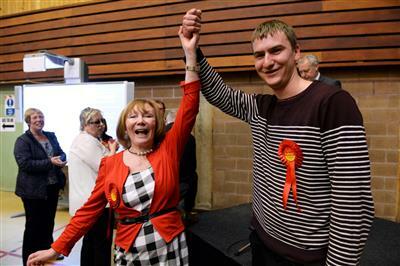 Harriet Harman to step down as deputy leader of the Labour party once a new leader is elected. ALLERDALE RESULT: Aspatria - Bill Finlay, IND, 620. 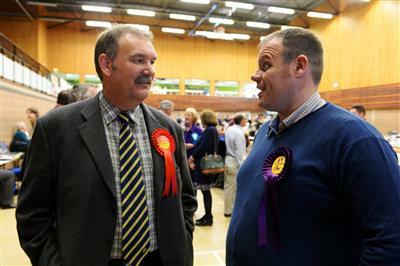 David Wilson, UKIP, 534. ALLERDALE RESULT: Stainburn: Mark Fryer, LAB, 444. ALLERDALE RESULT: Netherhall Angela Kendall, LAB, 697. Bill Pegram, LAB, 663. ALLERDALE RESULT: Ewanrigg Carni McCarron-Holmes, LAB, 872. Lee Williamson, LAB, 705. ALLERDALE RESULT: Wharrels Jacqueline Mounsey, CONS, 550. 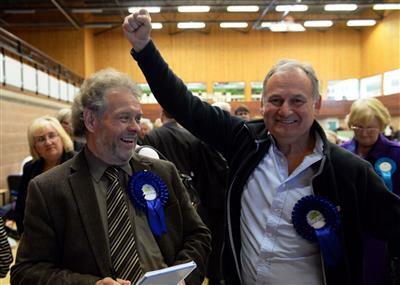 ALLERDALE RESULT: Warnell - Duncan Fairbairn, CONS, 790. ALLERDALE RESULT: Silloth - John Cook, CONS, 908. Bill Jefferson , IND, 588. ALLERDALE RESULT:Wampool - Patricia MacDonald, CONS, 679. ALLERDALE RESULT:Waver - Alan Hedworth, CONS, 850. 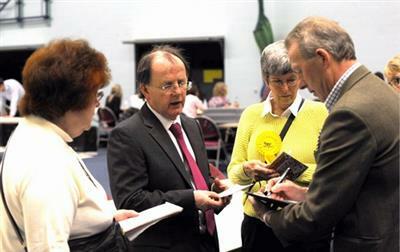 Mark Fryer, said: "It's been a long hard fight, thank you to the returning officer and staff of Moorclose Sports Centre. "The next selections won't be counted in this building, this tired old lady is being retired and we'll be in a brand new, fit for purpose facility in the town centre. That's what you get when you vote Labour. "Thank you to the people of Stainburn for giving me a resounding victory, I will work unbelievably hard for you, as will all of our candidates. "I look forward to the next four years, hopefully under a Labour majority, where we can get on and finish the business we started four years ago." 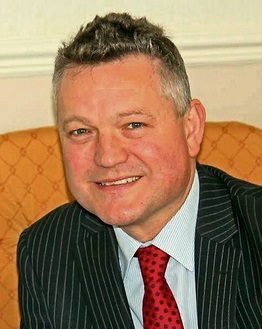 ALLERDALE RESULT: St John's - Joe Holliday, IND, 1,391. Michael Heaslip, LAB, 1223,, Konrad Hansen, LAB 1,126. Michael Heaslip said: "There's no change in St John's, we always knew it was going to be tight and that there would be no landslide either way. "We are only halfway through what we set out to achieve, we've got very ambitious plans that we are going to see through over the next four years." 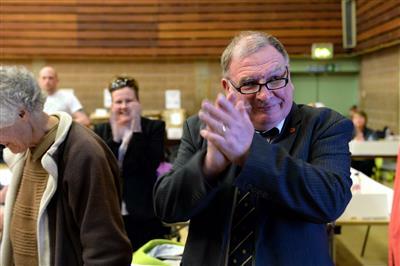 Alan Smith, re-elected in All Saints ward, said: "I'm ecstatic that the electorate of All Saints was are putting their trust in me, Christine and Len - the Labour team - for the next four years. Some of use have worked for the last 20 years for the betterment of All Saints ward. We have hit the ground running now for the ward. They have had our our utmost support over Strawberry How. We are going to be fighting for the people up in that area. We have now got the mandate to take that forward." Keswick has gone to a recount. Joe Holliday said: "I feel brilliant. To come in first in the poll as well is marvellous. The sheer number of people is a marvellous vote when you see others are getting in with just 400 votes and thinking it's wonderful. People have really turned out." This was the first borough election he had fought as an independent candidate, having previously stood for Labour. Asked whether it had made it more challenging standing against his former party he said: "It's not very nice. They were my colleagues. They still are in many ways. I have been confident in the work I have done in the ward. "You don't win it in the last two weeks, you win it in the last four years." First-time candidate Anthony McGuckin, who missed out on a seat in St John's, said: "It's a good start. It's great. I have enjoyed it. It's been a good process. "At the end of the day the two existing Labour boys have got in and that's important to keep our majority. We have done a lot in the last four years. It's about carrying on with that and taking it to the next level. As Arnold Schwarzenegger once said, 'I'll be back'." Moorclose has gone to a recount too! ALLERDALE RESULT: Christ Church - Eric Nicholson, CONS, 925. 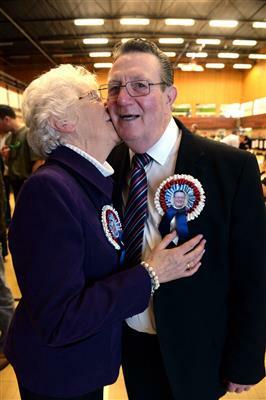 Margaret Jackson, CONS, 832. ALLERDALE RESULT: Wigton - John Crouch, LAB, 1027. Joe Cowell, CONS, 921. Alan Pitcher, CONS, 890. ALLERDALE RESULT: Moorclose - Stephen Stoddart, IND, 963. Denis Robertson, IND, 704. Peter Bales, LAB, 776.